This page and those subordinate to it are designed to provide suplemental material for the student of the Constitution to enhance the understanding gained from the lessons about the American Constitutional Paradigm. This button will take you to a list of text books for our courses. This button will take you to a list of other recommended books for your study. This area has the Constitution listed section by section along with links, references, word definitions, and our analysis to assist you with your studies. Buttons are provided to point you to the specific section or amendment that you want to study. This area contains reference material relating to the Alien and Sedition acts. These acts were passed by congress during the administration of John Adams. 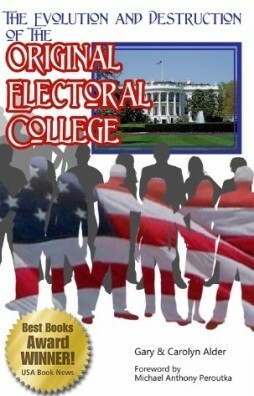 What is an Elector and Why Did the Framers Want an Electoral College Anyway?